As some of you may know/have worked out, I’m a bit of a (self-confessed) nerd. I’m a stickler for correctness, I need to always be learning something new and I’m very specific about how things need to be (anyone that’s been in a university lecture with me knows I need to sit in a specific spot and my friends need to sit in a specific order, too). Even as a very proud nerd, one thing I don’t normally do is try to show off too much; I don’t think that (showiness) is a great trait. But in the interest of being a true inhabitant of the Internet, I’m going to be on this occasion. Going on from the above, I was obsessed with getting straight High Distinctions for my entire degree. This fell down in only the second semester of my degree with Interaction Design. That didn’t stop me from trying to aim high for the rest of the degree, regardless of what people told me was impossible and what was realistic in terms of grades. Close friends know of a specific incident regarding someone telling me it was impossible to receive straight sevens. Didn’t I prove them wrong. I graduated with First Class Honours from my B.InfoTech(Hons) degree this past July, being the only person to from this degree in that round of ceremonies. My final GPA for honours was 7 (how impossible is it now?!). But, that’s not all I achieved,or all the university bestowed upon me. 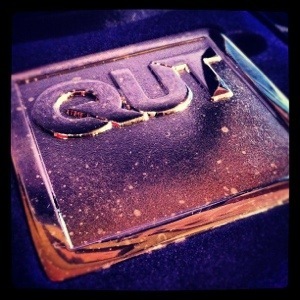 I was honoured with the award of a QUT Medal, which is the university’s most prestigious award for graduating bachelor students. Out of the 1,400 students graduating in the July round, just 7 were awarded with a medal. This represents the top 0.005% of students. Three years of hard work pays off. To say I am proud is an incredible understatement. I was lucky to have incredible family, friends and educators to get me to this pinnacle. Although it sounds cliché, I could not have done it without them. Has someone ever told you that something was impossible? How did you prove them wrong? You worked so hard for it – and you should be showing it off! You did forget to mention that you also worked and tutored while maintaining your straight 7’s. To call you dedicated is a huge understatement.